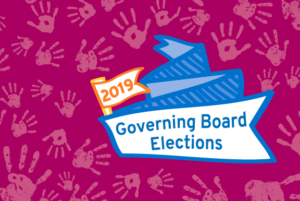 The call for candidates for the CISV International Governing Board election for 2019 is now open! The 2019 elections will be for three Governing Board Trustees, who will each serve three year terms (2019-2022). Of the three Trustees, one will be elected by the National Junior Representatives and two will be elected by the Members (51 National Associations and 2 International Junior Branch Representatives).. The Governance Team has conducted an analysis of the Governing Board’s self-reported individual strengths and gaps of remaining Board members (those whose term does not end in 2019). This may be helpful to both potential candidates and National Associations and the results can be found here – 2018-19 Board Skills Gap Analysis. Candidates who are able to fill the skills gaps would be beneficial. If you have a candidate in mind or are thinking of running for election yourself, the following information and documents will give you an idea of the commitment and skills required and the terms of office. Any individual qualified to serve on the Governing Board can become a candidate for election to the Governing Board by submitting a fully and properly completed Governing Board Candidate Information package by 15 May (23.59 UTC). We strongly suggest you submit your completed Information Package well in advance of the deadline. The sooner your package is complete the sooner your name can be published in the regular updates of official candidates. Be reminded that you cannot be accepted as a candidate unless we have received your fully completed Information Package by 15 May (no later than 23:59 UTC). Please note that if you are elected you will need to attend the Governing Board in-person meeting on 29 August-1 September 2019 in Newcastle upon Tyne, England. As the Election Committee is not a nominating body, if you do not wish to run but have someone else in mind as a potential candidate, please contact them directly to encourage their participation. The members of the 2019 Election Committee are: Frank Steffen, Francisco Pavão, and Nadia Igsiz.